Don’t look now, but House speaker Paul Ryan may have just one week to salvage his career. OK, that might be hyperbole, but the longtime Wisconsin representative is facing perhaps the stiffest challenge of his nearly two-decade career in elective office. Nevertheless, Ryan’s ascent in American politics is stunning. He served as Mitt Romney’s running mate in 2012; had the Romney-Ryan ticket won that election, Ryan would have played an important role in formulating economic policy for the Romney administration. 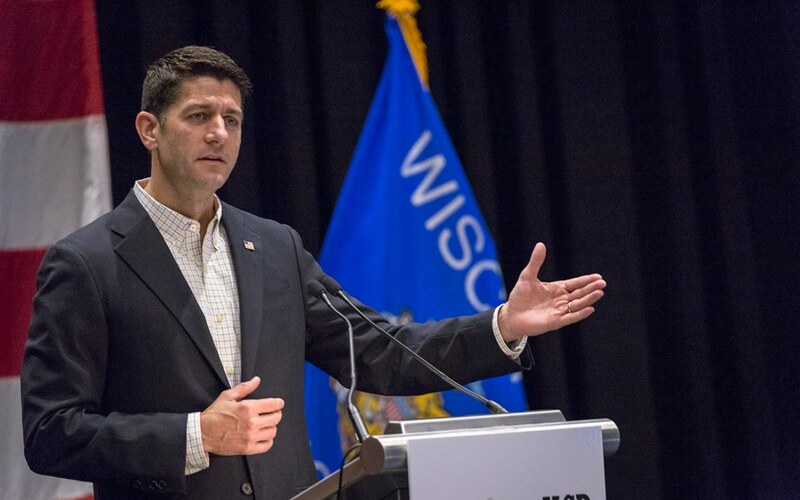 Reluctantly — very reluctantly — Ryan agreed to run for House speaker last year after John Boehner stepped down and the frontrunner, House majority leader Kevin McCarthy, suddenly dropped out. In many ways, Ryan’s has been a fairy-tale rise in American politics and, even today, he is a plausible future president in 2020 or beyond. That may be changing, however, in the age of Trump. Thanks to @pnehlen for your kind words, very much appreciated. “I like Paul, but these are horrible times for our country,” Trump said. “We need very strong leadership. We need very, very strong leadership. And I’m just not quite there yet. I’m not quite there yet.” Trump’s refusal to back Ryan represents an extraordinary breach of political decorum and signals that the Republican Party remains divided two weeks after a national convention in Cleveland staged to showcase party unity.